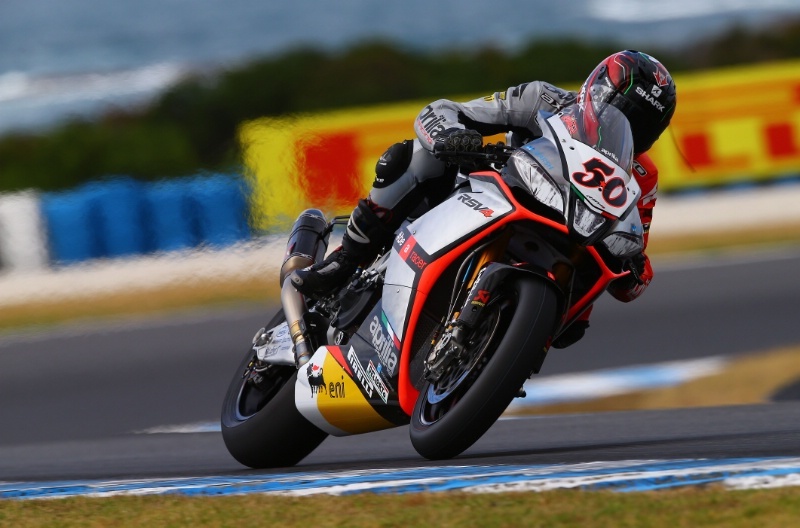 The long wait for racing to return to the telly finally came to an end this weekend with the start of the 2014 WSBK championship in Phillip Island. Expectations were high for an exciting opening round after some surprise results during pre-season testing and the weekend’s racing didn’t disappoint. With another seven week wait until the second round it was just as well that Phillip Island provided a healthy dose of action to see racing fans through such a long wait. What was clear from the outset was the Suzuki was well up to the job of maintaining the shockingly quick pace set in testing by new boy Alex Lowes and Eugene Laverty, even if an engine loss in the second race may cast doubts over its durability with the rest of the season yet to come. Laverty got off to a poor start in the first race dropping from fourth to seventh on the Voltcom Suzuki, four seconds adrift from the leaders. The Irishman got his head down and powered through the pack, taking the lead near the end of the race and finally crossing the line for the win with a healthy lead over Marco Melandri in second and Sylvain Guintoli in third. Tom Sykes could only manage a rather average seventh place on the Kawasaki, crossing the finish line 15 seconds behind Laverty. The win marked a comeback for Suzuki after 95 races without taking the top spot on the podium. Sadly Laverty could not repeat his blistering performance in the second race of the day, his Voltcom Suzuki GSX-R1000 retiring with engine failure on lap 14. It was up to Sylvain Guintoli to repeat his win from the same round in 2013 to take the top spot on the podium in the shortened second race which ended seven laps early. 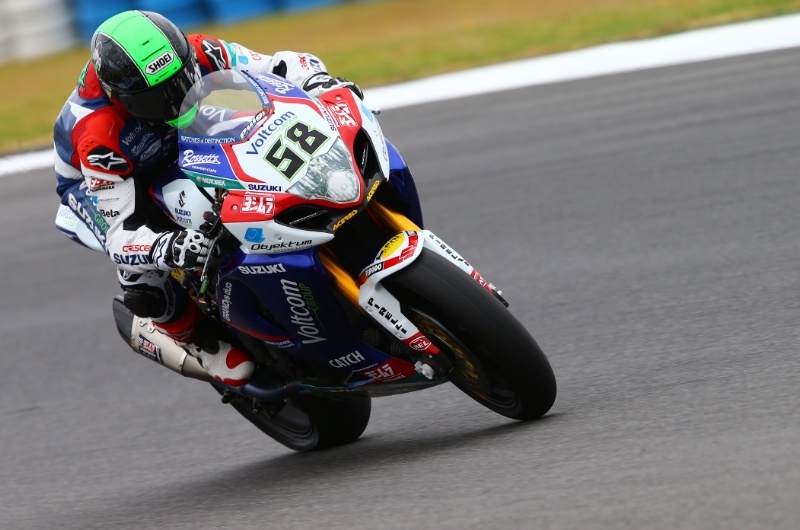 The reason for the premature finish was a spectacular engine blow up for race 1 winner Eugene Laverty which forced the organisers to bring out the red flag due to the engine oil on the track. With two thirds distance having been covered the result was called and Frenchman Guintoli found himself in the right place to secure the win ahead of the Kawasakis of Baz and Sykes in second and third. It didn’t all go Guintoli’s way with a scrap for the lead that saw him battle with both Kawasakis and the Italians Melandri and Guigliano but Guintoli eventually asserted his dominance to regain the lead until the red flag was shown.